Our website stats tell us that our readers love two things in equal measure — Zara and Olivia Palermo. And nothing gets a reaction quite like when Olivia Palermo wears Zara, which she does oh so often. Zara's summer sale might still be in full swing but it has started dropping its A/W 17 collection, and pieces are already standing out as Olivia contenders. 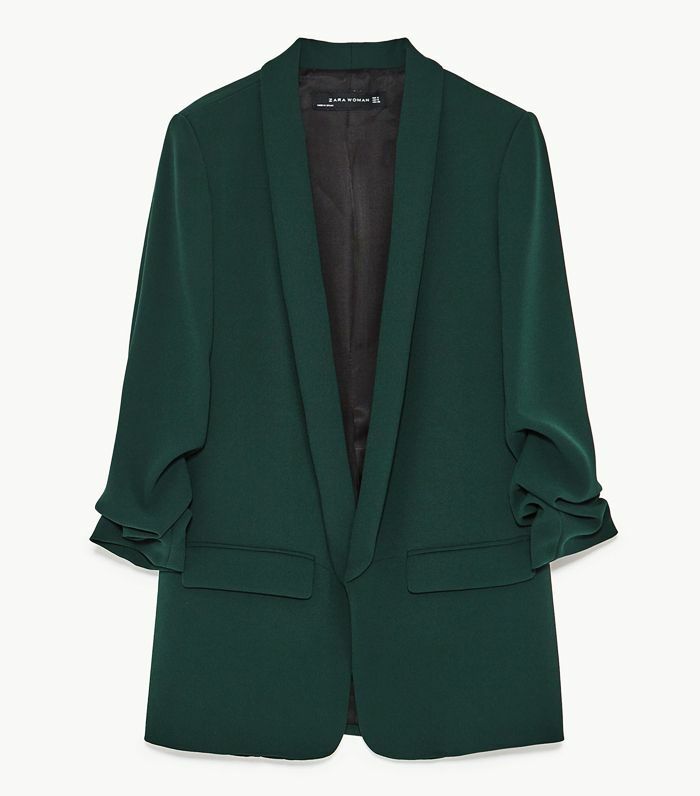 From a deep emerald-green blazer to the perfect army jacket, these nine pieces have Olivia's name on them—and you never know might already be waiting in her shopping basket. Scroll below to see our edit of the pieces we think Olivia Palermo would buy from Zara's new collection. Olivia has a soft spot for this shade of green. Anyone else imagine her sporting the full suit at fashion week? Any Olivia P. fan will know she loves stripes. Olivia P. already owns some of Zara's sleeveless tailoring, and the silhouette of this jacket looks super expensive. Just because they're trainers, doesn't mean they can't have sparkle too. Olivia might already have her fair share of parkas, and this looks like it already belongs in her wardrobe. Add a white shirt and you have a classic Olivia P. outfit. This knitted sweater is an uptown spin on a T-shirt. Olivia knows nothing makes an outfit look expensive like a silk scarf. Next up, see how to look chicer every day according to Olivia Palermo.